Description: Soft loop handle bag is a polyethylene bag with reinforced gussets and dual soft loop handles, they keep precious cargo suspended safely during transport. Advantage: able to hold heavy weight items and resist tearing and stretching. These bags are able to stand on their own without tipping, so you can transport items in your car, easily store them in your home, or securely ship them. Several of plastic bag varieties also come with a cardboard insert that will flatten the bag’s bottom for added balance. 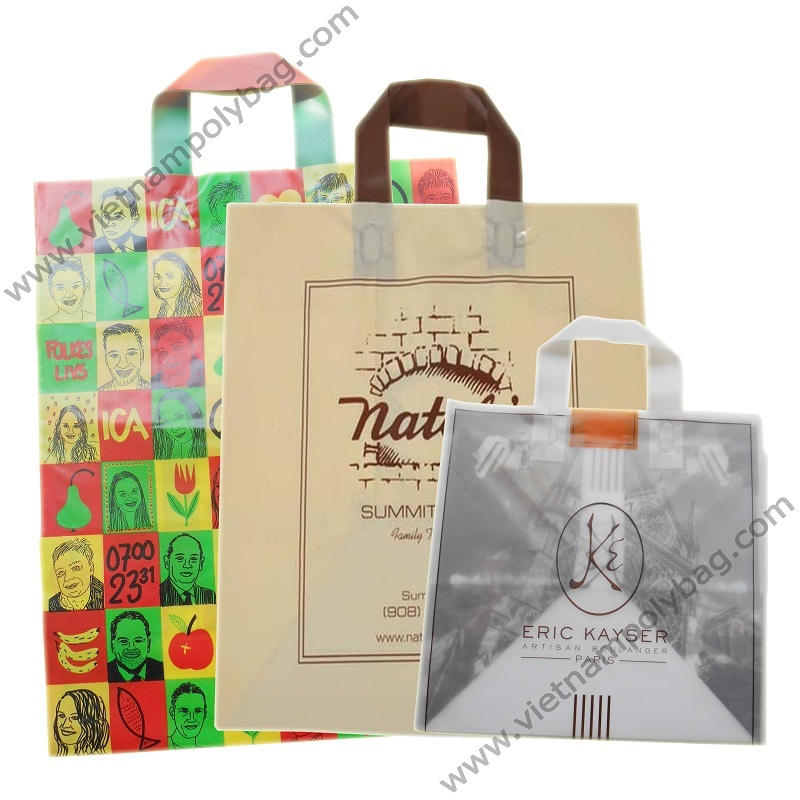 Soft handle promotional plastic bags serve a utilitarian purpose aside from looking good. Usage: Its design features soft loop handles, and it’s so convenient for carrying gifs, jewelry, cosmetics, shoes, men- women and children’s apparel.